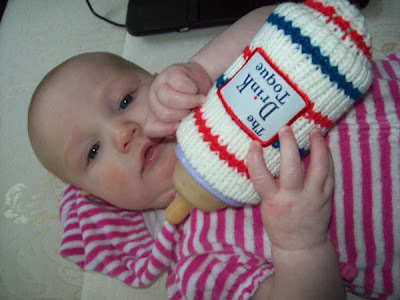 The Drink Toque: It's official, babies love The Drink Toque! We can prove it. It's official, babies love The Drink Toque! We can prove it. It's official, babies love The Drink Toque! There is a high adorable quotient in this picture. Thanks for sharing Amanda!